Titan Trade Newsletter - Subscribe to our Newsletter Now! When you’re trading binary options, it becomes imperative to deploy certain resources to further enhance your trading results. 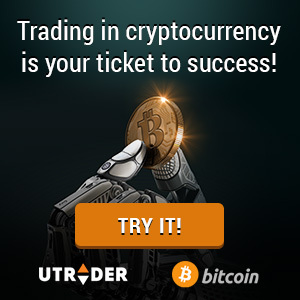 Constructing your market understanding and utilizing a wide range of trading tools will place you for effective trade execution and improve your chances of trading successfully. In order to accomplish an in-the-money trade, a trader needs to stay updated with the latest market trends and analysis. This is the reason why it has become essential for traders to glance through binary options newsletters on a weekly basis to hone their understanding on how assets react to market fluctuations. There are many binary options newsletters available online, but we believe that our Titan Trade newsletter will serve this purpose efficiently. One of the basic advantages of our newsletter is that you get to know about the latest market news and global economic events that are likely to decide the future movements of the market. You will also find discussions about current views of each asset class; including stocks, Forex pairs, indices and commodities from various market analysts. The views of these analysts are most likely to affect the value of certain assets, hence it is important to investigate current market updates so you’re able to better forecast the asset’s price movement within a given period of time. Our Titan Trade newsletter is generally prepared by market experts who have been in the industry for a long time and have years of experience in market analysis. You can also keep abreast with our upcoming deals and promotions from reading our Titan Trade newsletter. We provide a section in our newsletter that gives you a rundown of our events and promotions. Here you can find a number of ways on how you can earn extra credits or increase your profits through the Titan Trade bonuses that we offer every month. Subscription is done when you open an account with Titan Trade. As soon as you have confirmed your e-mail address, you will be eligible to receive our weekly newsletters and exclusive updates to your inbox. It’s really that simple.